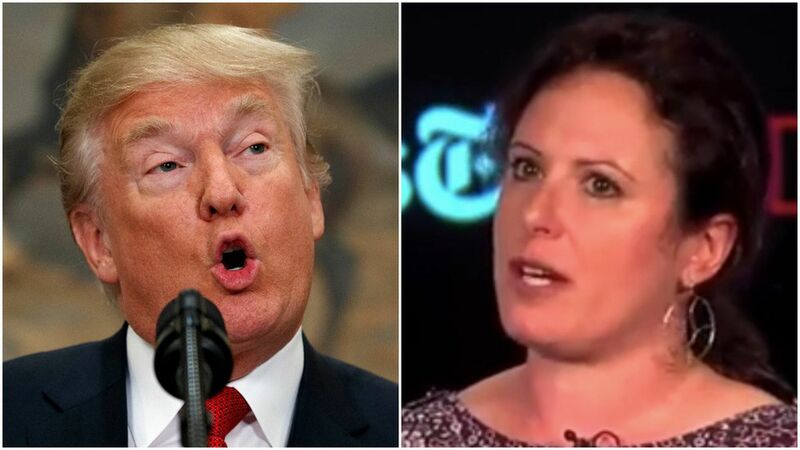 Speaking on a New York Times panel Thursday evening, Maggie Haberman discussed the extreme emotions she's observed from President Trump during the campaign and the presidency. Why it matters: Few people are able to explain Trump as well as Haberman. Known as the 'Trump Whisperer', the paper's White House correspondent often complements her regular coverage with public commentary about the man she has covered dating back to the New York tabloids in the '90s. Humiliation: "The Access Hollywood tape is the only time in my memory when Donald Trump was humiliated. And he really was humiliated. He does not experience these things the way most people do, but he was then." 'Undone': "When he came downstairs at Trump Tower that day, the day after the tape dropped. He came downstairs and there had been an impromptu rally in front of Trump Tower. And Trump walked out the glass doors unannounced...and he did a power salute and people were pawing...It was really scary because I felt like anything could happen at that moment because he clearly was undone. And the next night was when he brought Bill Clinton's accusers to the debate." Anger: "The only rally that I can think of that felt really similar to the campaign was Arizona (on August 22). His tone has not been as intense as it has been during the campaign, except for that one...That night he was very angry. That was the night that [the NYT] reported about his feud with Mitch McConnell. And the story broke when he was on Air Force One, he didn't read it. They were trying to keep it from him. And it flashed on TV on Air Force One." Happiness: "The happiest that I have ever seen him is when he was at Mar-a-Lago because he's sort of relaxed and he's playing greeter. It's like he's hosting a big party. There are aspects of this job that I think he thought were going to be like that. The governing piece has been a challenge."